All are welcome at Beinglas! 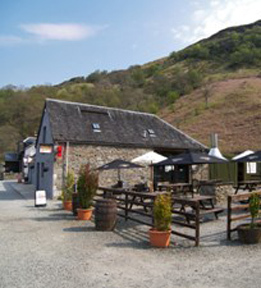 "At Beinglas Farm B&B in Inverarnan, June, Timmy and all of their staff makes it their business to ensure that our walkers are well looked after. A warm welcome, a good night's sleep and an appetising breakfast are what you expect from a good B&B and you can be sure that you will get all this and more here." "We stayed in one of the small lodges, was perfect for our needs, food was good, shop well stocked, beautiful early morning scenery, there was even a musician playing in the bar, added to the enjoyment. Well done Beinglas, you've got it right. Your staff were all very helpful." "Friendly welcome from staff and excellent quality cabin accommodation with ensuite. 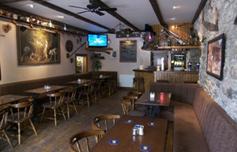 Very enjoyable meals in the bar/restaurant. Perfectly situated at the end of a difficult walk along the banks of Loch Lomond in the rain. 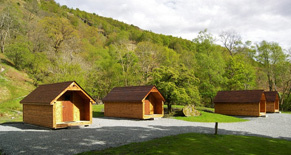 Camping and huts also available. Friendly atmosphere with other walkers in the bar. Bed and breakfast was great. Washing and drying facilities available." "After a long day on the WHW, we were very happy to have arrived at beinglas. Small shop on site that sell everything you need. We stayed in a triple chalet which was clean & spacious & the shower was amazing! Pub on site also. Staff very friendly & helpful & good home made food provided! Good variety of breakfast choices also. Would recommend!" Two miles north from the top of Loch Lomond on the West Highland Way beneath the Grey Mares tail surrounded by an abundance of Mountains Water falls and Wildlife. 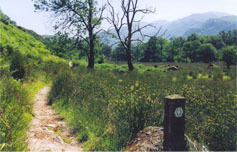 Access to Beinglas Farm Campsite is only permitted between 7.00am-11.00pm daily. If you require a late/early arrival or departure please let us know! We are a completely separate entity from the Drovers Inn & take no responsibility for anyone trying to access our property after 11pm! Please also see our new Terms & Conditions.